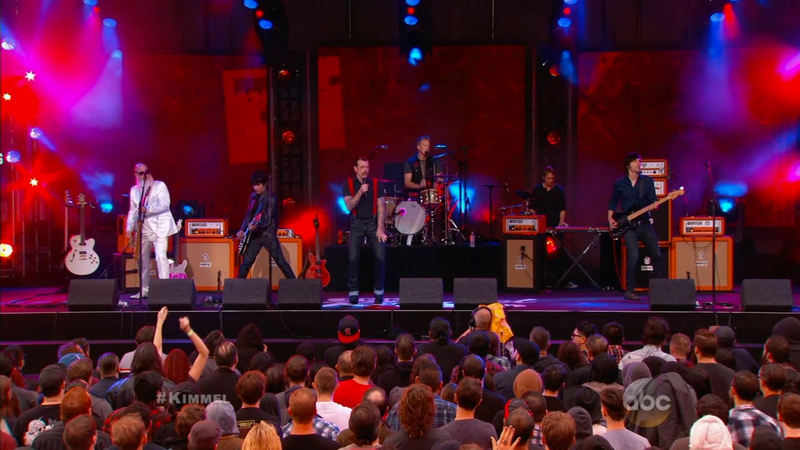 Palm Desert, California-based band Eagles of Death Metal performs on "Jimmy Kimmel Live!" on Oct. 5, 2015. PARIS -- A Southern California band escaped a Paris concert hall after gunmen attacked on Friday, a relative told KESQ-TV.